Check out our favourite wines and wineries. People in the wine industry and more here. I don’t really like Gin; as I’ve said before, but Gin Raw is pretty good. Ever wondered what a luxury Gin tasted like? I never did, but I got the chance to experience it recently, which is very lucky for me since, there are only 5,000 bottles produced every year. A gastronomic gin that is made by a handful of experts from different corners of the world of gastronomy. The team that makes up Gin Raw includes a chef, a sommelier, and a mixologist. Creating a gin is considered an art. With balancing flavours, aromas and botanicals, a master perfumer rounds out the team. 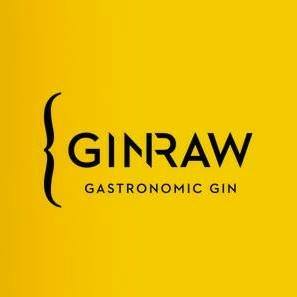 How did Gin Raw come to be? We met with one of the men behind the product and he told us how he and his business partner; just realised one day that Barcelona lacked a Gin that truly represented it and the gastronomic creativity and fusion if flavours that describe Barcelona in one sip. From that point on the two men became business partners, found and collaborated with the rest of the team and created the spirit of Barcelona; Gin Raw. Luis (the man with met with) is one of the co-founders of Gin Raw. He came from high end or luxury marketing and translates his knowledge and passion for gastronomic fusion into his work and product Gin Raw. What makes Gin Raw so special? Gin Raw is made using a unique distillation process; that combines the traditional method and uses copper stills. But, they incorporated the latest gastronomic trend and technique that is a low-temperature distillation process using Rotaval. Luis told us that although Spain did not create Gin as a staple drink, Gin Tonics come from the Spain region. This reason alone is what motivated Luis and his business partner to create a truly magical, rare and unique Gin that fits with Barcelona and the Mediterranean. Gin Raw is crafted so that it can be consumed any way you’d like. As a base for other cocktails (my pick), neat, on the rocks, in a Gin Tonic. The team prides itself on the product simply because it has been developed so that the botanicals it uses, the richness or aromas and flavours can pair perfectly with a gourmet meal or other sophisticated culinary creations. What makes Gin Raw so exclusive is the time and effort put into creating each individual bottle and flavour. This luxury item is produced solely in Spain, and each Botanical ingredient is hand selected and distilled individually before fusing together to make the final product. They used only botanicals that capture the essence of Barcelona and proportion them. Like making a perfume finding the balance is especially important. They use Juniper (dry herbal aroma balsamic & woody), Citrus notes ( citrus and refreshing, sourness), Laurel (intense, fresh, sweet and spice), Black cardamom (smokey & spiced) and Coriander seeds (floral, spicy, citric). Each botanical is a layer to the drink and adds a dynamism that is hard to grasp. Gin Raw is crafted in 5,000 bottles, each numbed individually – making this product unique and exclusive. It comes in 70cl bottles with a ABV of 42.3%. The name Gin Raw stands for pure and unrefined gin. The low temp distillation process preserves the most fresh and delicate aromas and botanicals. Raw embodies the gastronomic food movement for raw, art, design and photography – matching creative to the palet. The body has a faded glaze giving a visual image to the low temperate distillatopn process. The glaze turns clear as it moves towards the bottom so the consumer can appreciate the purity of the borduct, and the bottom matches a PET water bottle making it truly orgional. Gin Raw is a product of Mediterranean Premium Spirits S.L, the professionals behind this drink have invested all of their passion to create a unique Gin with personality like no other. A must try if you ever get the chance. Parato… for anyone that enjoys a nice glass of wine in a beautiful location with great people. You must check out Celler Parato. Parato is a vineyard here in Barcelona. 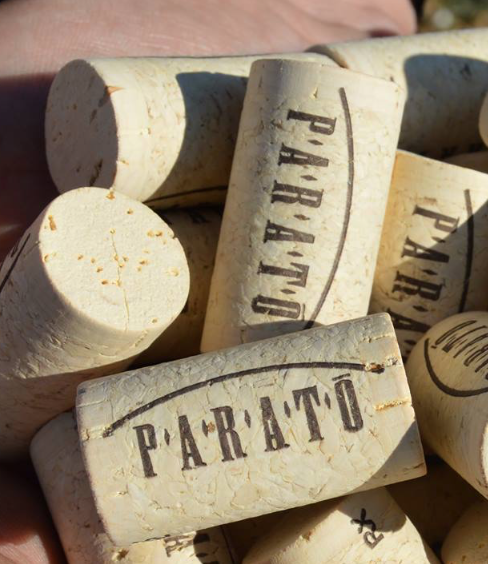 The workers and owners at Parato know that the best wine comes from the best grapes, everything goes back to where and how the grapes are grown in the vineyard. Because of this, they farm organically to ensure the best possible wine’s and cava’s production. The Parato Vineyard is a family tradition dating back to the 17th Century with the Elias family. 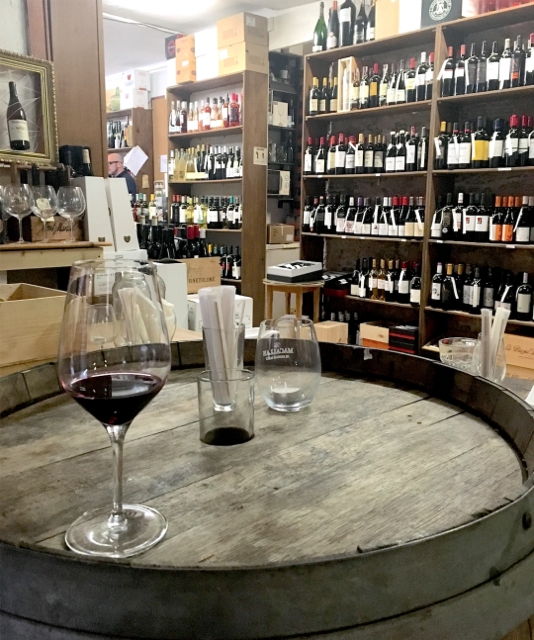 Located on the slope of Montjuic mountain, the Elias family has their press and sold Litres of wine around the Sants neighbourhood. The Spanish Civil War put an end to this, but in 1975 heir to the estate; Josep Elias Andreu, recovered the winemaking tradition. Josep founded the Societas Parató Vinícola (ParatóVinicultural Society) and bought 94 hectares of a farm with vineyards in the Alt Penedès Region. The current winery was built here in 1977. Four siblings carry on the family tradition keeping in mind that “to produce wine and cava of the best quality, only and exclusively with the grapes we grow”. You can stop by Monday through Friday, or on weekends if you call ahead to tour the property or taste some wine. The tradition of Parato is thick and well thought out. The Elias family continues to celebrate this tradition but embraces modern elements. A truly special place to check out in Barcelona. Fintan Kerr is the founder of Wine Cuentista – simply put, Wine Storyteller. WC runs high-quality wine tastings in central Barcelona. The business is run on the basis that wine has a story and that worth sharing. What better way to tell the story through informal, fun, informative and intimate wine tastings. At the wine tastings, Fintan focuses on local wines from Spain and Catalunya. Spain is a beautiful country for wine drinkers with a huge variety of different wine producing regions, styles and new innovative winemakers in balance with a wealth of tradition and over 1000 years of history. When Fintan first arrived in Barcelona over 6 years ago, Fintan fell inlove with Spanish Wine, and the pivitol moment that lead to the creation of Wine Cuentista – was Fintan’s first Spanish wine tasting at Bodega Maestrazgo hosted by Jose. Wine Cuentista looks to explore the sheer scale, complexity and beauty of the wine industry. Asking questions like; How can such subtle differences make such a big impact on the flavour, structure and style of a drink? and, How is it that wines change so unpredictably as they age? For anybody looking to dive into the world of Spanish wine, food, culture and history, should look into Fintan’s business. Wine Cuentista welcomes all, no matter if you’re a novice drinker or a seasoned vino-veteran, there is always something to discover. 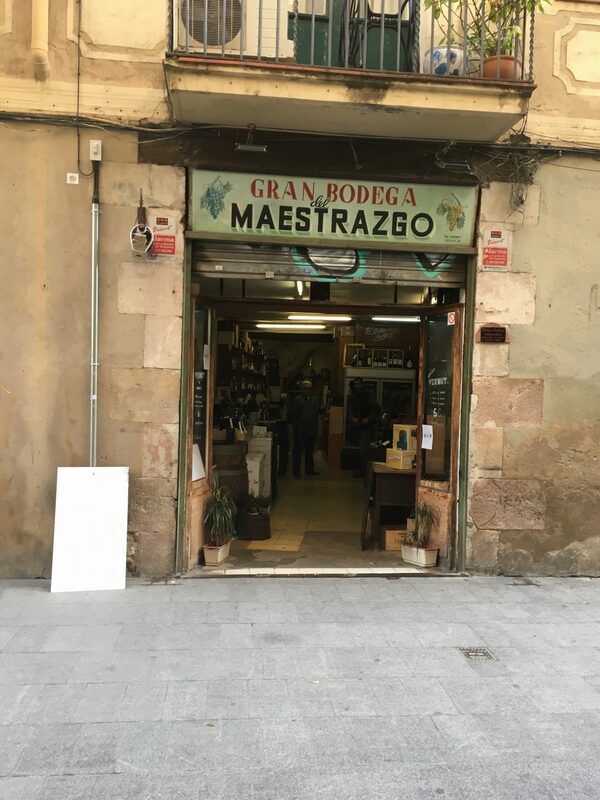 Located just off to the side of busy Carrer de Roger de Flor, is the small but special Bodega Maestrazgo. This wine cellar in the Sant Pere district of Barcelona has been around since 1952. The interior is rustic with giganitc wine barrels, exposed brick, walls and walls of wine and large glass windows. It was here that we met Fintan Kerr, whom we interviewed recently and also where we met Jose who’s family began the business. Maestragzo, is more than just a place to buy wine. With experts that care about each individuals expereince with wine, they offer advice on wines for particular occasions, palates, special and unique quality. 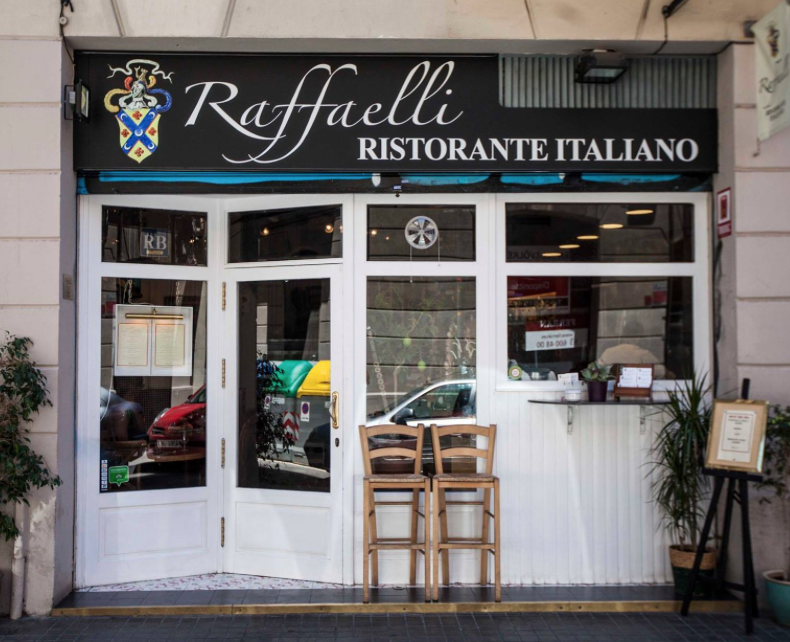 After a long day of work, you can head down to C/Sant Pere Mes Baix, 90 Barcelona 08003, and induldge in a glass of wine to forget the haste of the real world. You can go and taste a glass one wine, and either buy the bottle afterwards or buy the glass. Everyone is welcome to relax, buy a bottle, and hang out. 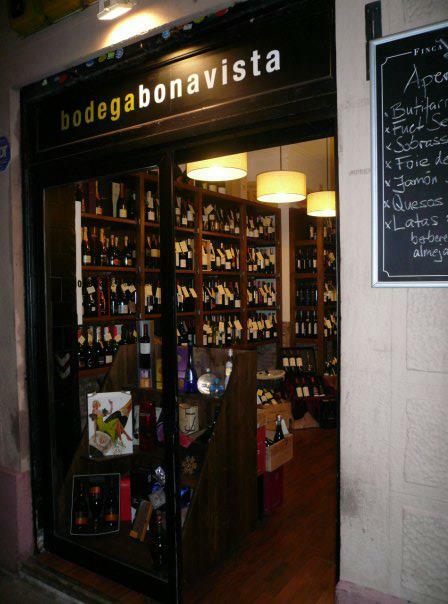 The Bodega hosts montly wine tastings for around 30-40 euros and is open from 10am – 10pm. Jose and the other staff make you feel welcome, you will meet great and interesting people and get to enjoy a glass of top quality wine. To learn more check out the facebook and twitter page. Wouldn’t it be great if there was some sort of way to educate yourself on your wine preferences, a wine hand-book. This is where Grape District comes in. Developing a taste for wine is a skill which takes years to master. Detecting different flavour notes and distinguishing between a Cabernet and Merlot is truly a task that needs commitment. Then there’s the casual wine drinkers, who can distinguish red and white only based on visuals. 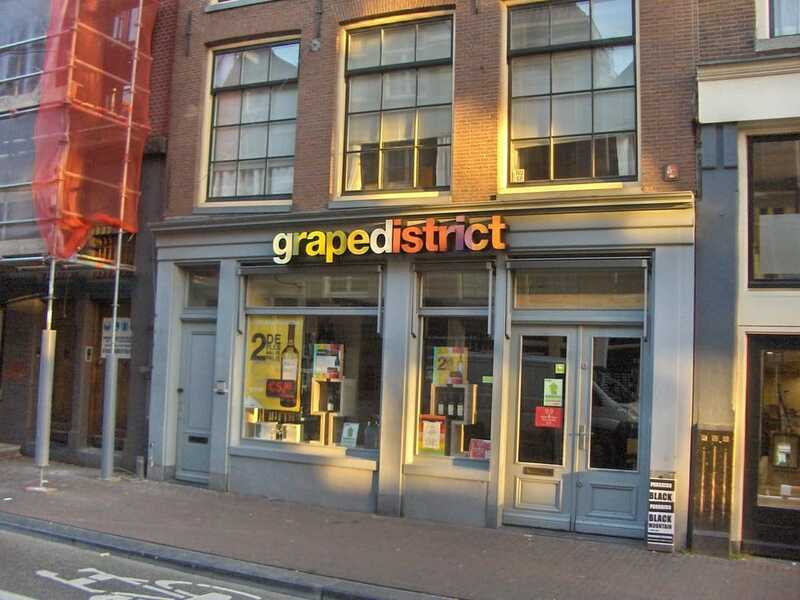 For the rest of us, there’s Grape District. This trendy Dutch shop has an innovative new way to sell wine. Until now, we’ve been depending on country of origin, year and type to determine what wine to buy. For the majority of us, unfortunately, those pieces of information don’t mean much. Grape District does the work for you, and classifies all of their products by intensity, flavour palette and recommended activity. You can pick from 10 categories from bubbly, to mellow, blush and cellar among others. So now you know to go for a “Rosy” bottle on your picnic, a “Deep” bottle for your steak, and a “Honey” bottle with your salmon.